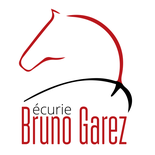 How to buy a horse with us - Site de ecuriebrunogarez ! Bruno's aim is to propose well-ridden horses, easy to ride and ready to compete, so that their rider can enjoy numerous years of competition with their horses. There are different ways to buy a horse with us: Bruno has thought of an innovative way to buy a horse: you can try it for one day, one weekend, one week (rates upon request). So that we can take our time to talk about how you ride, what you expect and the type of horses you like, and find the perfect match. There is no obligation to buy, and whatever happens, you will have lived a beautiful moment. You can also send a video beforehand so that Bruno assesses your style and level and give you the best advice to find the ideal horse for you.